Us 3 girls went out to Tiki Tiki reserve in the forest and on the way called into see the Redwood Forest, they are really beautiful. Most of the forest has been cleared and they are putting it into farming, I hope they don’t touch the Redwoods. The weather is still not nice, cold, wet and very windy, had to put off my trip to Tauranga due to the weather, so most days of late have been spent catching up with long time friend’s in Tokoroa and in the district. 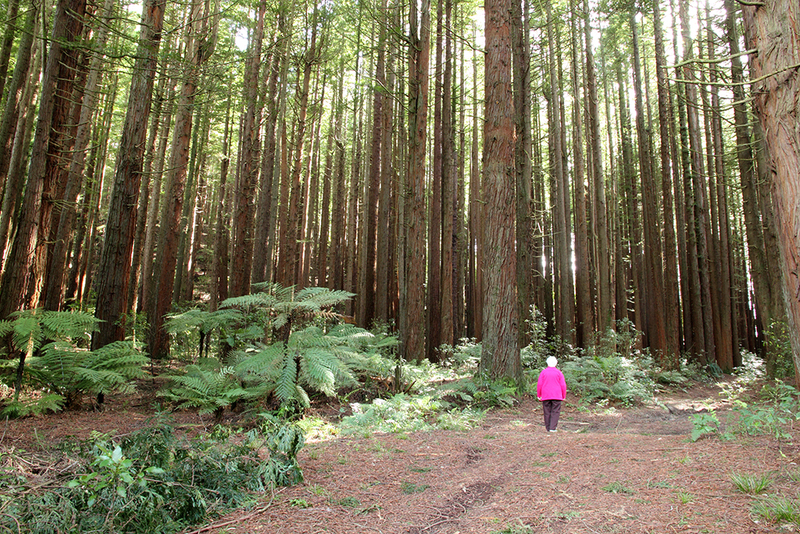 Redwoods, Kinleith Forest, Tokoroa. The next day went for a hot swim at the Waikiti Valley, nice drive, lovely natural mineral baths and a very nice meal afterwards. 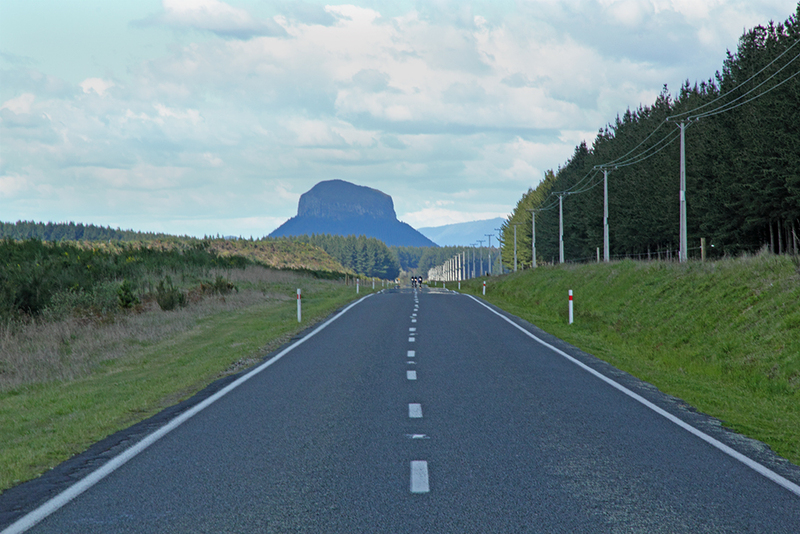 A few days have passed and by the 18th October the weather picked up enough for me to go over to Tauranga, had a great day catching up with another friend, spent the day with her and got back to Tokoroa at 5 pm. This the last leg of this holiday, it has gone real fast and I have thoroughly enjoyed every minute of it. The 80th birthday went wonderful and the birthday lady had a lovely family time and saw many friends pop in. Plenty of food as every one popped in with a wee treat. Cake was amazing as it was the bottom layer of one of the Grandchildren’s wedding cake. It was a wet day with a snowy bite to it but that didn’t matter, got some lovely photo’s as well. A friend and I went for a drive out to Atiamuri and saw all the road works happening, plus fixing the bridge that goes over the Waikato River there, went and checked out my old school and the village where I lived some 60 years ago, a few remains and an old chimney etc that’s about it. From here we went to Ohakuri Dam, the flood gates were open, what a great sight.We had lunch at one of the reserves that use to be very popular but gone to ruins now. Pohutoroa in the background, It’s a mighty hill to climb and amazing view if you make it. This is the stretch of road between Whakamaru and the main highway at Atiamuri. Over the next few days us girls went tiki touring and all went and shouted ourselves a Aix massage at the Queen Elizabeth Hospital in Rotorura, it’s the best. They use natural mineral waters pouring over your body while having a massage, very therapeutic for sore muscles. Getting 80th birthday food ready. Very cold today, heaters going, and hot water bottle when we sit for cuppa. My friend from Rotorua popped over to see me, was awesome to catch up. When my friend left we went to the shops to get the food and I ran into some people that I barmaid with at the Tokoroa Club, we had a quick catch up and lots of laughs and kept moving, so cold. 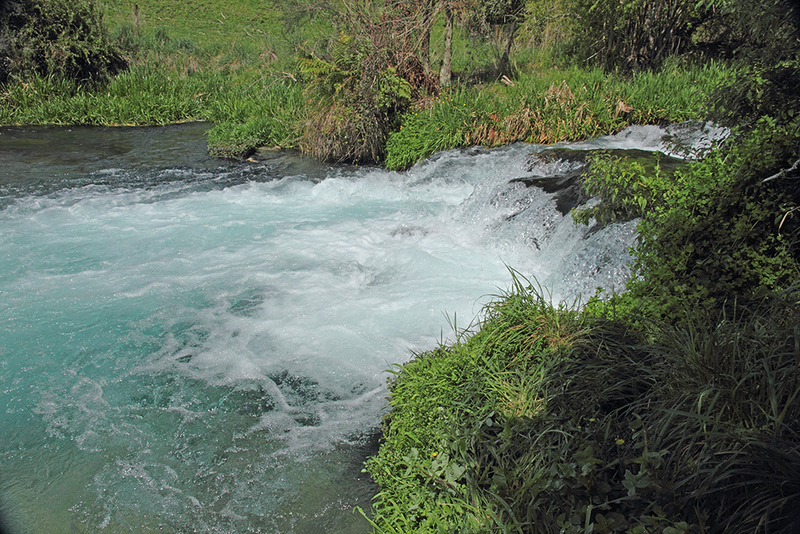 Not as cold today and Rose my friend and I decided to walk the Te Waihou, it is a stream that is so pure they bottle the water, so we headed to Putaruru got some hot food and did the walk, we did one end and then drove up to the other end and walked in from Leslie road. The images below show how amazing the stream is, I found lots of watercress along the edge ot the water so I was picking it and eating so nice. 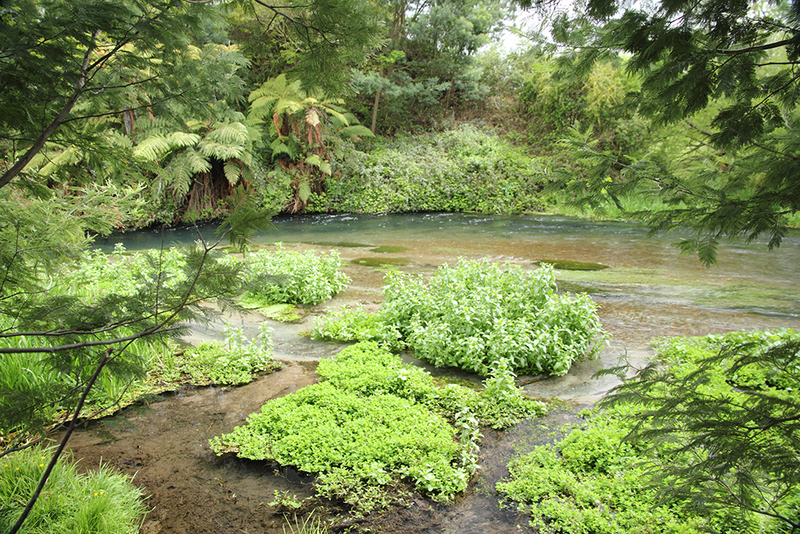 Te Waihou Stream, that water is like a spring and is filtered up through the sandy bottom. 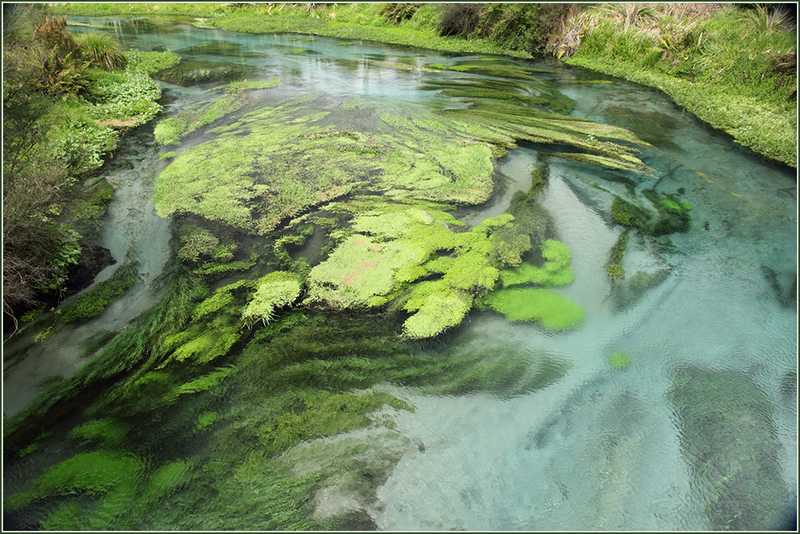 In places it looks like the vegetation is an underwater forest. A small waterfall on the walk, this water is very cold, so fresh to drink straight out of the stream. Cloudy but fine so heading to Taupo, I have friends down there and just nice to see the Lake and Mountains if no cloud is covering them. We did the walk around town bit and loved watching the Tui’s (bird) in the Kowhai trees. The lake was calm and we decided to go for a boat trip out on the lake, took us around to see Maori carvings, in the rock face, absolutely beautifully done and so huge, how on earth the carver got up so high and all there is, is water, so must of ab-sailed down. 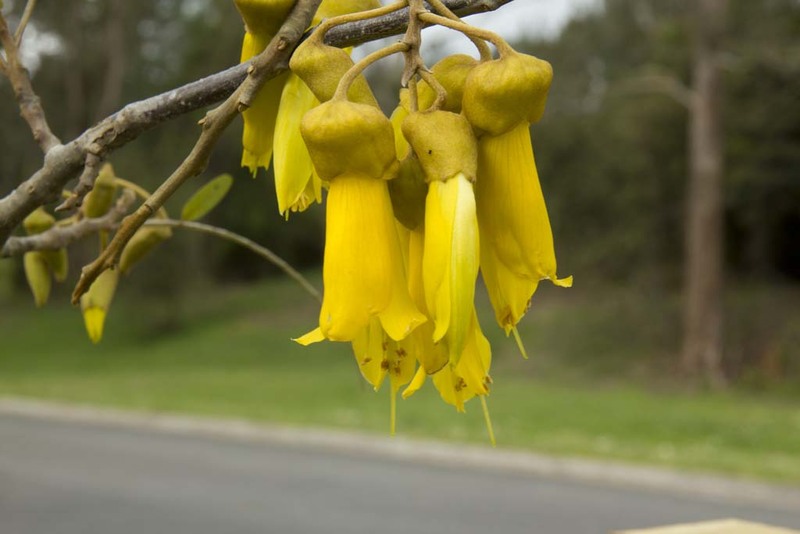 Kowhai flower, these a really beautiful when the tree is out in full bloom, they use to make a perfume from these flowers but got to expensive apparently. Had a lovely trip back to Tokoroa, was nice spending time with my friend as well. Posted in 2010, Waikato, North Island, N.Z. Had a great flight to Auckland where my 2 friends picked me up and we headed for the Service Station at the Bombay Hills. Fine and sunny day. We had lunch and filled up the vehicle and headed for route 27, stopped again at Wharoa for the usual stop and a stretch, then off to Tokoroa. Staying at my friend Mary’s place it was 7.30, so was feeling tired and glad to be there. We chattered until about 10.30 pm and then crashed into bed. A great start to the day a bit of an emergency, got an ambulance to Mary and they gave her a check up, took her to the hospital which is on the back boundary fence at Mary’s place, so not far to go. They have found her problem and will keep her in until it’s sorted. Over the next few days I was just catching up with long time friends and Mary is home all is well. 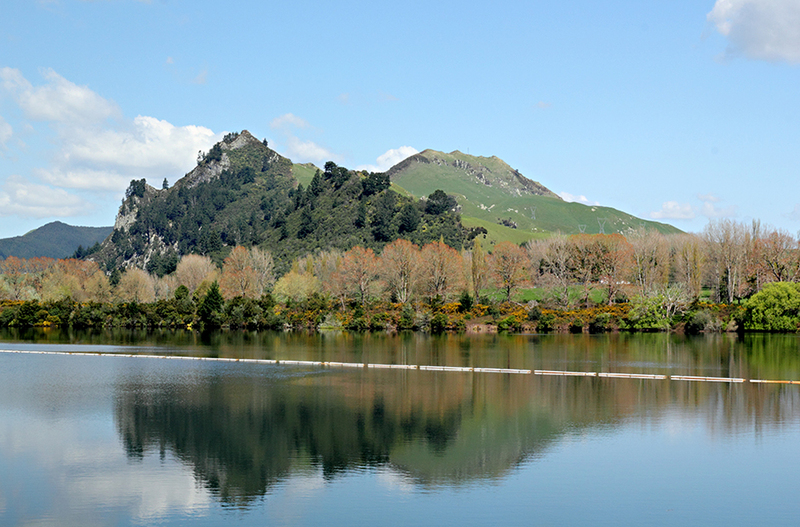 Went for a drive out to Mangakino, and Lake Whakamaru, these places are on the Waikato River which has many Dams on it. From there we did the round trip to Atiamuri, stopped off at the old Humphrey store and bought a ice cream just like the old days. 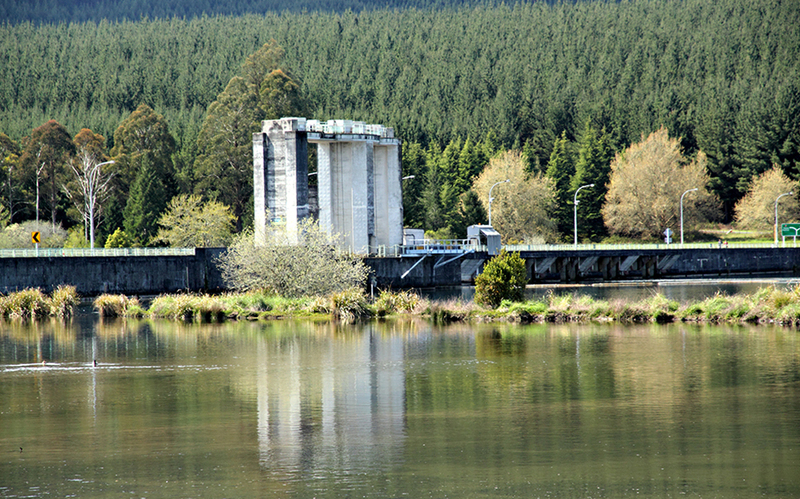 This is the Whakamaru Dam from the reserve, the highway goes over this dam. Mt Kahu with the repeater on in the background this is the shores of Lake Whakamauru, beautiful in Autumn.